I don't know why it took me so long to realize that most of the items from the Lee Strasberg archives of the possessions Marilyn Monroe (Monroe left almost everything to Strasberg in her will) were auctioned off last November. And I had no excuse - I was aware of Julien's Auctions for awhile now and blogged about it too. I was familiar with many of the items since I used many of the letters up for auction as part of my research into my play NORMA JEANE AT THE PAYNE WHITNEY PSYCHIATRIC CLINIC (opening a week from Monday!) and I had used items from previous Monroe auctions - things like her brief, undated & unsigned letter to Arthur Miller, which I paraphrase in my play. That letter, according to the auction results listed on the Julien's site went for $43,750. There were a few items that were under a thousand dollars, including even some of Monroe's letters. It's probably just as well I didn't know about the auction, I would have been sorely tempted to buy some things at a time when I really cannot afford it - especially because I'm producing a play. 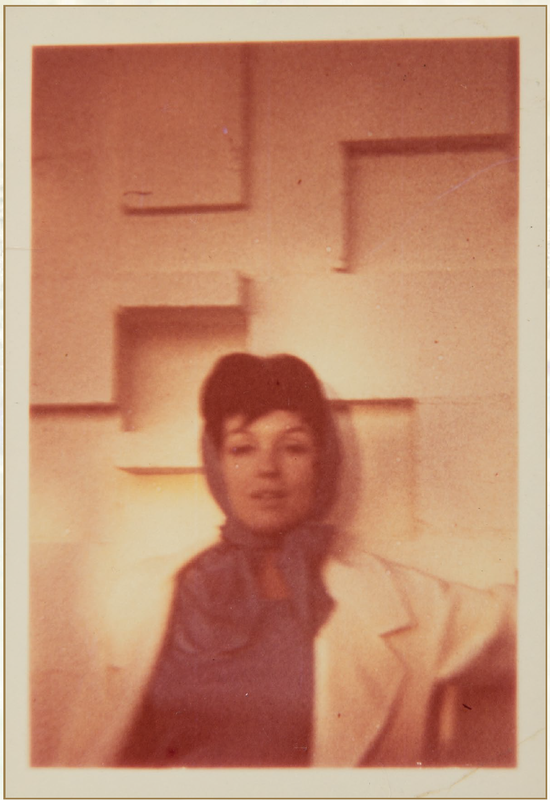 But the November auction contained two items posted here that were new to me, including this snapshot of Monroe dressed in a brunette wig. The Julien's catalog claims she liked to go about as a brunette (and of course she had naturally light-brown hair) in order to see how men responded to her. I had never actually read anything in reputable biographies about that - although she was able to and did go out - while blonde - without being recognized. But this photo is great. 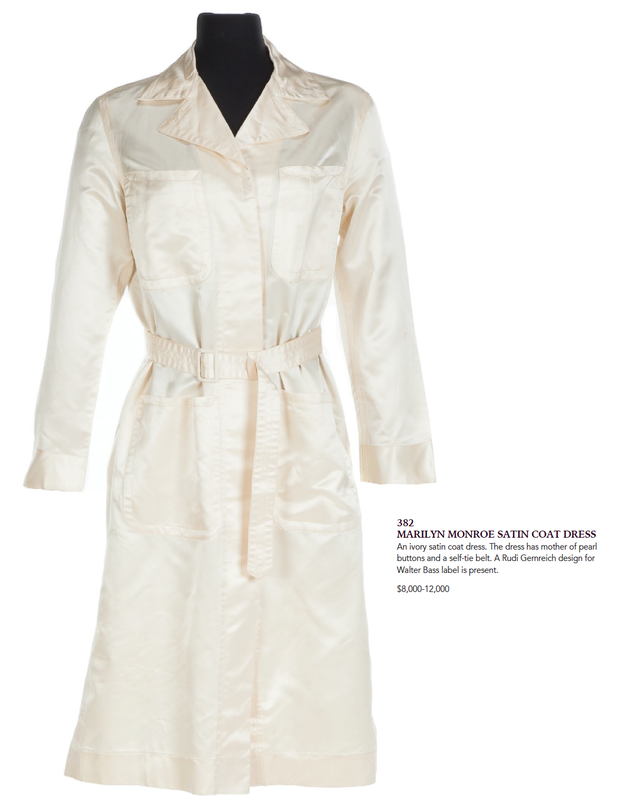 But the most exciting thing up for auction was this coat - my actor Jenna, our costume designer Renee and I found a coat that looks very much like this in the thrift store down the street from me - and we had no idea Monroe owned one that looked like it. I will have rehearsal photos soon and will post them here, for side-by-side comparison. A mystery solved. I think.